Do you know that feeling you get when something goes down the wrong pipe? You choke for a second and then catch your breath. Then maybe you laugh it off. Well in the most basic sense, that is aspiration. It’s really no big deal if you’re young and healthy and have a strong cough. Especially, when it only happens once in a blue moon. The problem becomes when it starts happening to you at every meal or more than one time during a meal. Let’s take a look at the cartoon up top and let’s look at our trachea (wind pipe). We watch him choke on water in this little joke. This is aspiration and it’s not supposed to happen. Our liquids are supposed to go into the esophagus (food pipe). 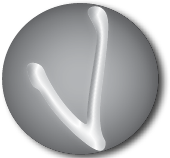 Aspiration is when food or liquid goes down the wrong pipe into our lungs. This can lead to aspiration pneumonia, which can potentially be fatal. If you are having any of these symptoms or you have a family member who is, be proactive. You can strengthen the swallow with therapy and exercises before it causes pneumonia. Recovery after pneumonia can be a long road. It’s better to be proactive then reactive when it comes to your health. Give your doctor and call and tell them about your symptoms. 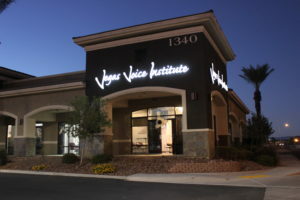 We can help you here at Vegas Voice Institute!